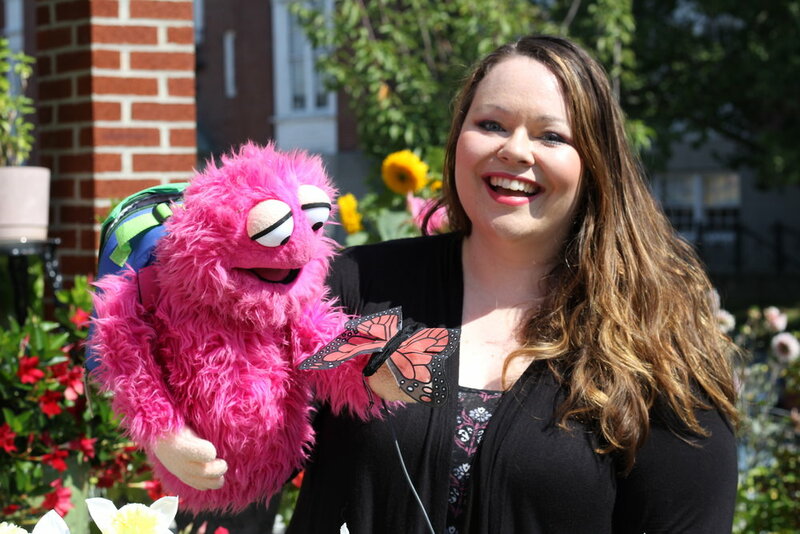 Celebrating music, friendship, and laughter, one puppet show at a time! Performances and workshops for all ages are available. Email Brenda.L.Huggins@gmail.com for more info. Go on a pink and furry adventure with Bella and her friends through a beautiful garden to meet silly bugs, creepy-crawlers, and musical surprises! In this interactive and engaging puppetry performance for the very young (and their grown-ups), sign-a-long to your favorite tunes like "The Ants Go Marching" and "The Itsy Bitsy Spider" as well as original songs including "Leg Up on You!" and "Chuck it In." We even get to meet the Very Hungry Caterpillar in a colorful and hilarious adaptation of Eric Carle's beloved children's book. With live music, interactive play, and short puppetry vignettes for very young children (ages 0-5) and their grown-ups.